If you can’t make it to home basketball games this season, or you have family who live out of town, here is your/their chance to cheer on the Tornadoes and Lady Tornadoes from home, work, or wherever you/they happen to be. 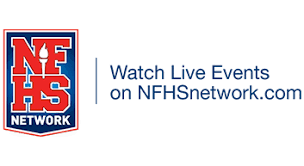 All home basketball games will be available to stream on The National Federation of State High School Associations (NFHS) network on your phone, tablet, or computer. There are multiple options including monthly, season, and annual passes. Please go to https://www.nfhsnetwork.com/su... and type in Abingdon-Avon High School then pick the pass option of your choice. By subscribing you get exclusive mobile access to LIVE home games. Watch A-Town boys and girls basketball whenever and wherever you want. Your subscription will also allow you to go back and watch a game you missed or want to replay. In addition, A-Town Broadcasting Class students will provide live play-by-play and color commentary.